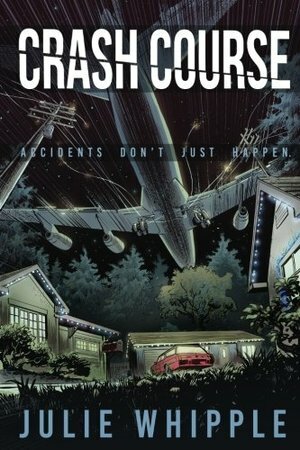 “Relive the story of an ill-fated commercial flight that was doomed before it was ever airborne; and find out how it may one day save your life—if it hasn’t already.” —Chris Mendenhall, Air Traffic Controller, Tinker AFB On a cold winter night, a passenger jet with 189 aboard crash landed, out of fuel, in a suburban neighborhood in Portland, Oregon. Ten people died. The pilot was blamed and stripped of his career, and a sweeping transformation of flight crew training took place that made United Flight 173 (in)famous worldwide as the model for failure and change. That was only the half of it. Hiding in plain sight for years in an attorney’s file boxes, the forgotten truths of the landmark air disaster reveal much more: an emotional journey tethered to the disgraced pilot and a three-year-old girl who survived the crash and became an unlikely hero for justice and public safety in the dramatic legal battle that followed. Crash Course, by award-winning journalist Julie Whipple, is the long-overdue, true story of a misunderstood airline tragedy that changed more about our daily lives than most people know. Here is why we’re safer today, how we’re not, and what we can do about it.